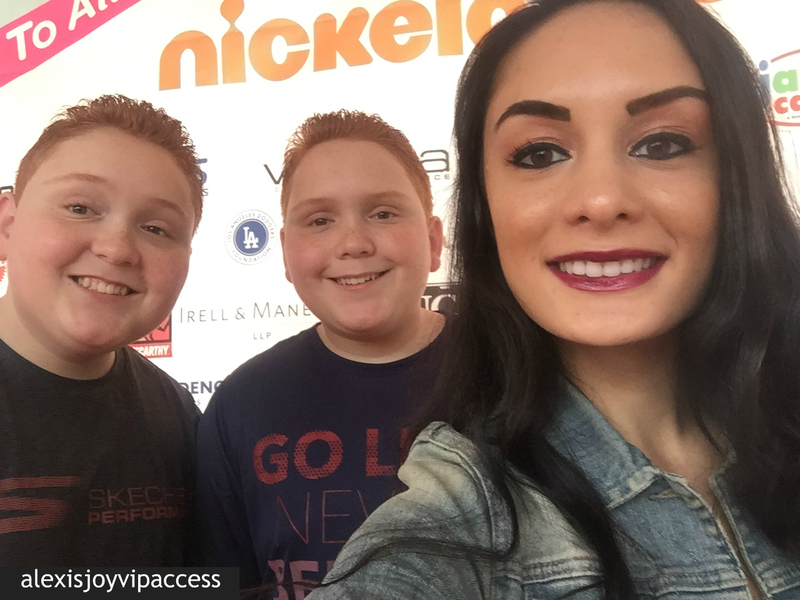 VIPAccessEXCLUSIVE: Matthew And Benjamin Royer Interview With Alexisjoyvipaccess At The Skechers Pier To Pier Walk! Ever wondered what it’s like to time-travel? Well, in Disney Channel’s spectacular show, “Best Friends Whenever,” viewers are able to enter in the lives of Cyd and Shelby and their fun adventures as they time-travel back and forth and go through their lives as teenagers with a pretty cool time-travelling opportunity. Fans worldwide are obsessed with the fun-filled and phenomenal show and two characters we all can’t get enough of are Brett and Chet – twin brothers played by the talented Matthew and Benjamin Royer. With each and every episode of the show, we can always find ourselves entertained with all of the exciting moments and funny memories, and we always look forward to seeing what kind of trouble Brett and Chet will find themselves getting into. Matthew and Benjamin Royer both have such an incredible acting talent and they are such a pleasure to watch on our TV screens. These multi-talented guys certainly have a lot more successes in store in their wonderful careers in the entertainment world. I, Alexisjoyvipaccess had a great time covering the Skechers Pier to Pier Walk and had an excellent time catching up with and interviewing the fantastic Benjamin and Matthew Royer again at the event. Matthew and Benjamin Royer dished exclusively to Alexisjoyvipaccess all about what time period they would like to time-travel back to, what it means to be a good friend, and so much more only in our VIPAccessEXCLUSIVE updated interview. Benjamin and Matthew Royer even sent out one brilliant message to all of their fans – hear what they had to say in our VIPAccessEXCLUSIVE updated interview below. Thanks for another fun interview, Benjamin and Matthew! Check out my VIPAccessEXCLUSIVE updated interview with the outstanding Benjamin and Matthew Royer at the Skechers Pier to Pier Walk below! Previous VIPAccessEXCLUSIVE: Albert Tsai Interview With Alexisjoyvipaccess At The Skechers Pier To Pier Walk! Next Article: Happy New Year! See How Some Of Your Fave Celebs Welcomed In 2017!